We are conveniently located right in the heart of Mandurah. You will find us situated at the new roundabout, on the corner of Mandurah Terrace and Sutton Street, where parking is also available. Our clinic is within the 'Serenity on the Terrace' building, nestled between People Who Care and Sunbreakers Restaurant. 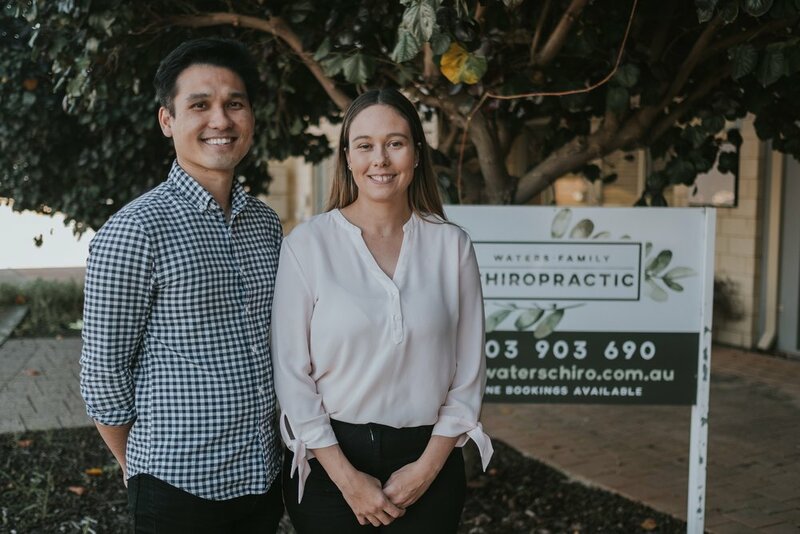 At Waters Family Chiropractic, our Mandurah chiropractors endeavour to alleviate pain; giving you the freedom to live an active, healthy, happy life - doing the things you love! We understand that everybody is unique. 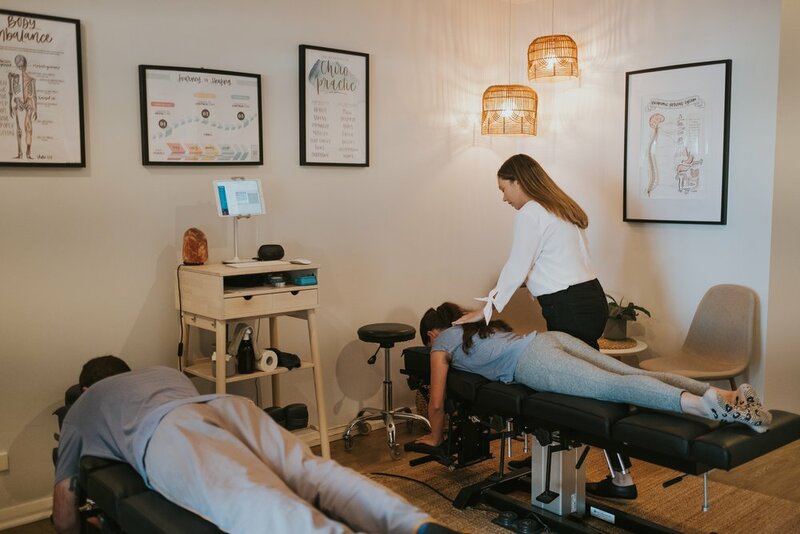 Our chiropractors take an early intervention approach with the goal of improving posture, relieving discomfort, providing education and rehabilitation. By encouraging mobility and movement, chiropractic helps to decrease pain, restore function and prevent disability. Chiropractic can help to alleviate pain, restore spinal biomechanics, correct dysfunction in the musculoskeletal system, encourage normal joint motion, and reduce muscle spasm to prevent injury. At Waters Family Chiropractic we offer a holistic approach to healthcare. Our mission is to enable our patients to live life at their optimum through affordable, quality chiropractic care, set in a nurturing family friendly environment. At Waters Family Chiropractic we utilise a range of skilled techniques to individually tailor your treatment. With a patient-centred approach, your chiropractor will work with you to help reach your health goals. We are open 6 days a week and have appointments available later in the evenings, because we know everyone's schedule is different. With longer appointment times, you can be assured that your health is our priority. If you would like to discuss your condition and determine if chiropractic is right for you, please do not hesitate to contact our clinic. At Waters Family Chiropractic, your individual needs and personal preferences are always taken into account, not only during your first visit but also throughout your continued chiropractic care. Discover better health with our blog! We have a limited number of parking bays available at our clinic, nestled between the Serenity on the Terrace apartment buildings on Mandurah Terrace. There is also designate street-side parking available along Sutton street which is directly across from our clinic. Walking from the Dome on the foreshore takes less than 10 minutes, an easy 650m walk. Head north on Mandurah Tce, when you come to the Peel street roundabout, go forward, taking the 2nd exit. We are approximately 100m further, on the left. Catching public transport to our clinic is easy! We are situated on Mandurah Terrace, one of the main streets in Mandurah. Bus 584 (to Madora Bay) leaves from the Mandurah Train Station from Stand A3 every 20 minutes. It only takes 5 minutes from the Mandurah Station. Get off at Mandurah Tce after Peel St (stop 17706), from there its a 1 minute walk (50m) to Waters Family Chiropractic. Otherwise, the Mandurah Shuttle Bus 588/589 (anticlockwise), which runs at more regular intervals throughout the day, stops in front of the City of Mandurah Council building (stop 17705). From there it’s a 4 minute walk (350m) north on Mandurah Tce.